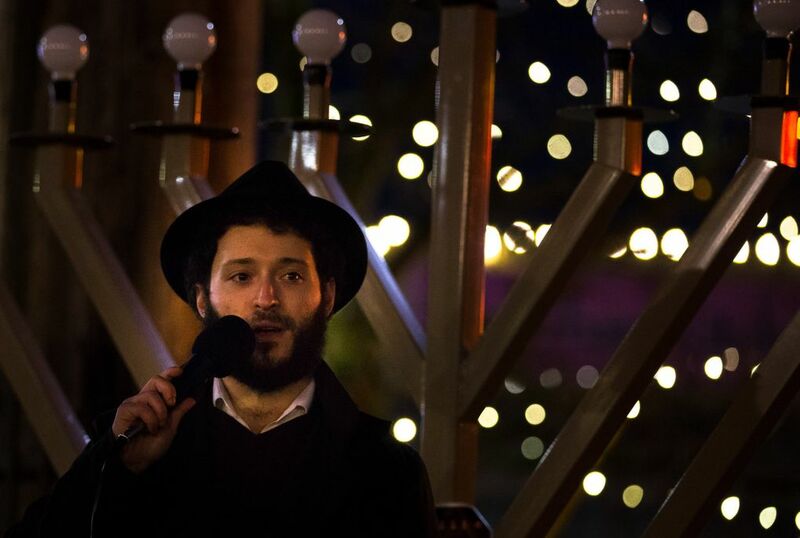 A giant menorah was lit to celebrate the Festival of Lights in Ballard's Bergen Place Park on Sunday, December 2. 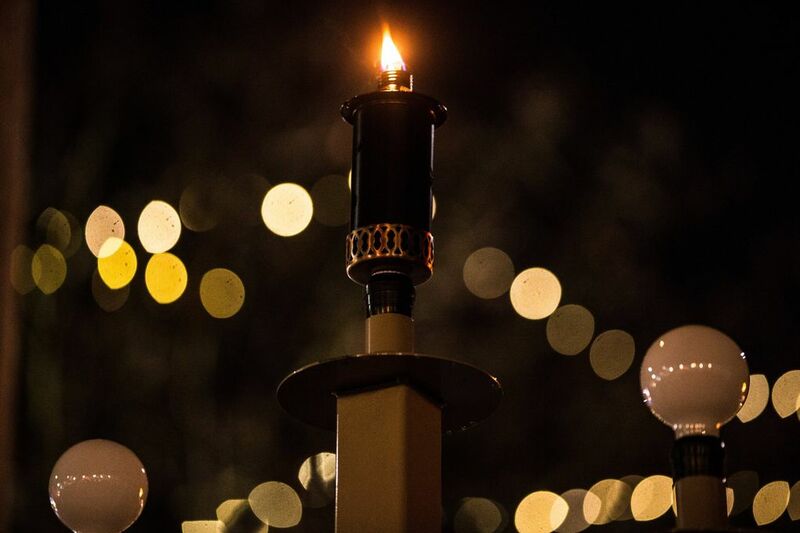 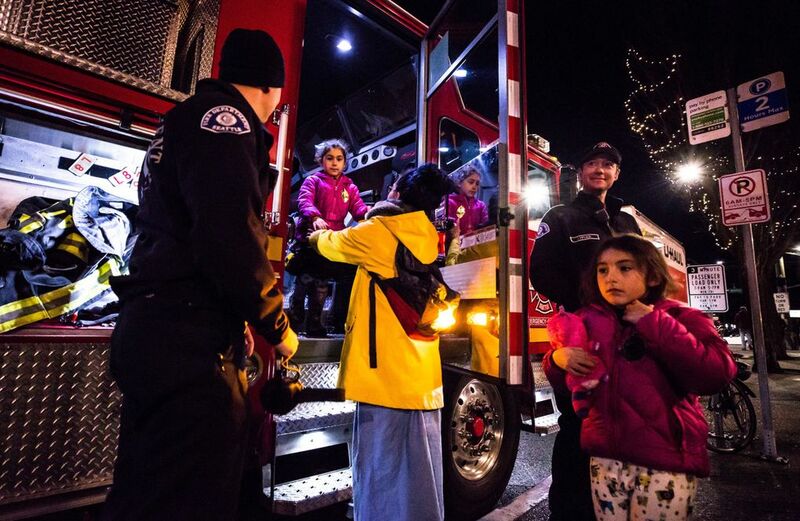 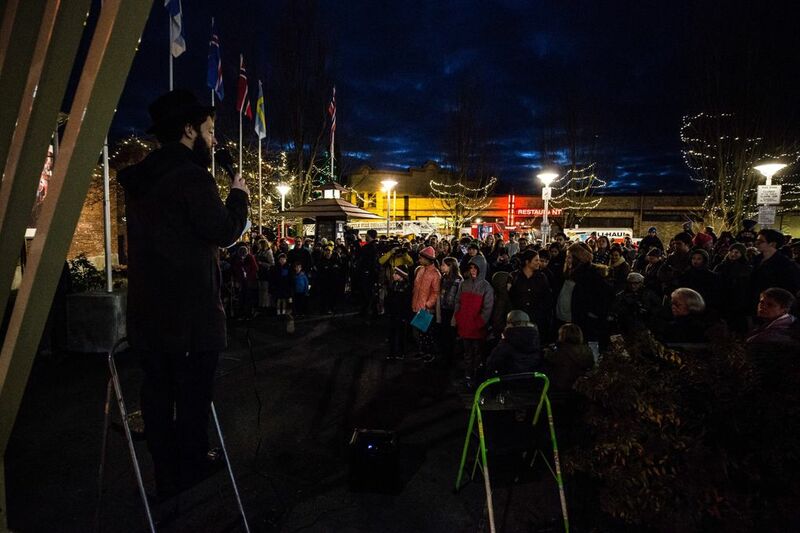 Hosted by Chabad of Northwest Seattle, the lighting of the menorah is an annual tradition. 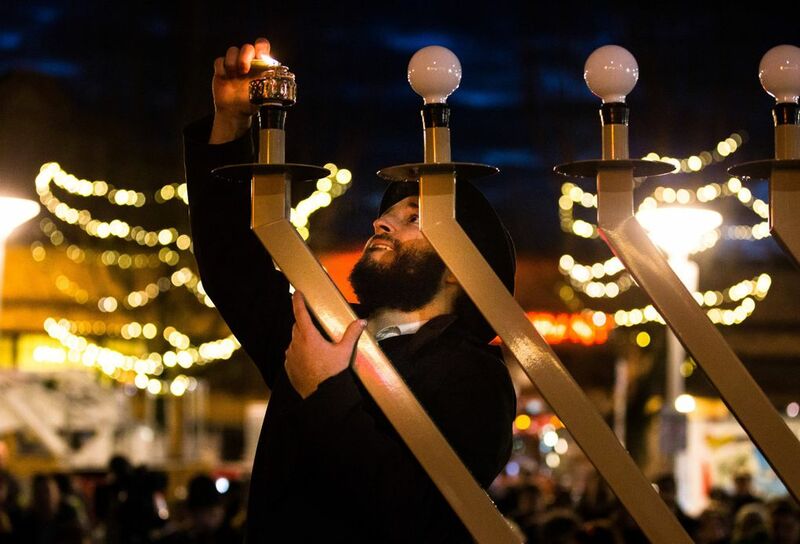 On Sunday night a giant menorah was lit up at Bergen Place Park in Ballard. 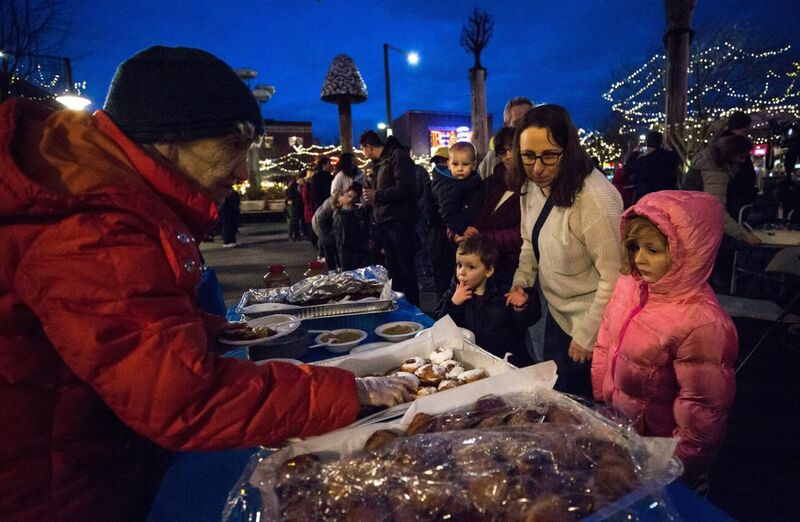 There were free menorah kits, hot latkes, jelly doughnuts, the dreidel man, live music and face painting. 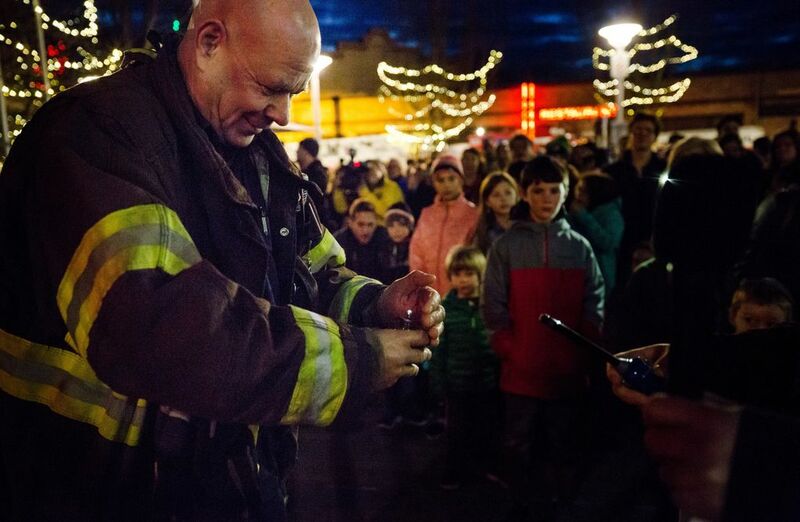 The first candle lit was in honor of firefighters. 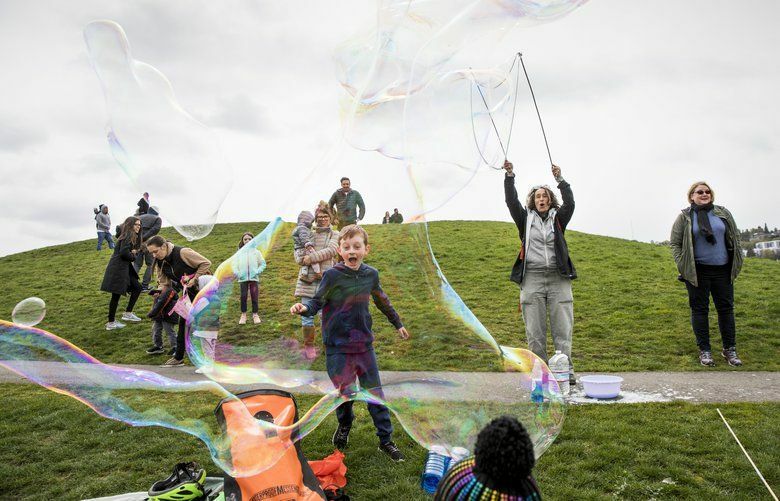 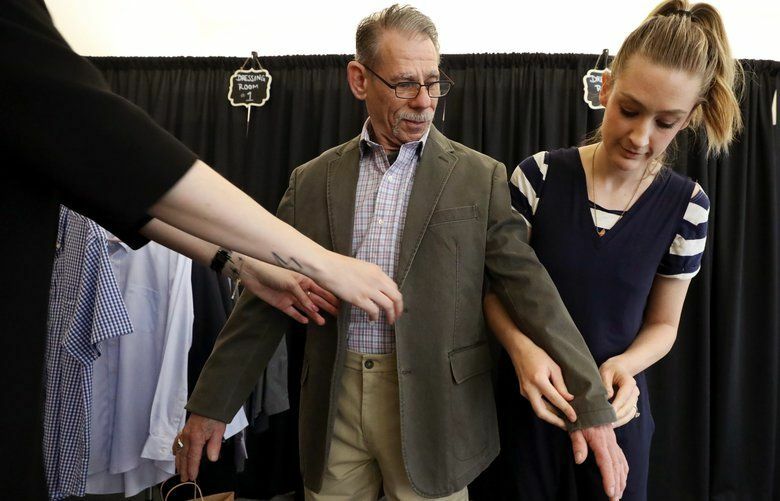 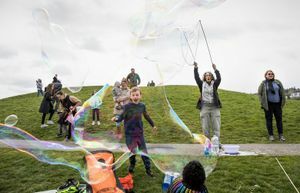 The event was organized by the Chabad of Northwest Seattle. 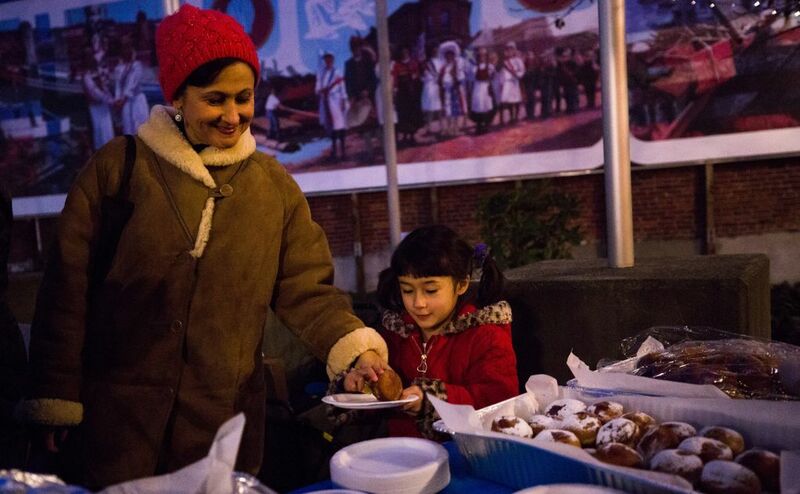 Hanukkah, the eight-day Jewish celebration, began at sundown Sunday and ends the evening of Monday, Dec. 10.